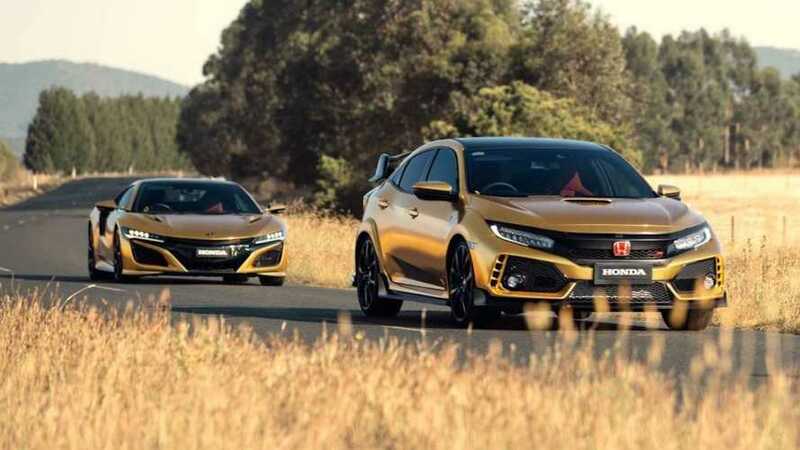 Honda has hit a milestone in Australia – it has reached its 50th anniversary in the land down under. To celebrate the incredible feat, the Japanese marque dressed its popular nameplates in gold, which is the metal that symbolises 50 years. 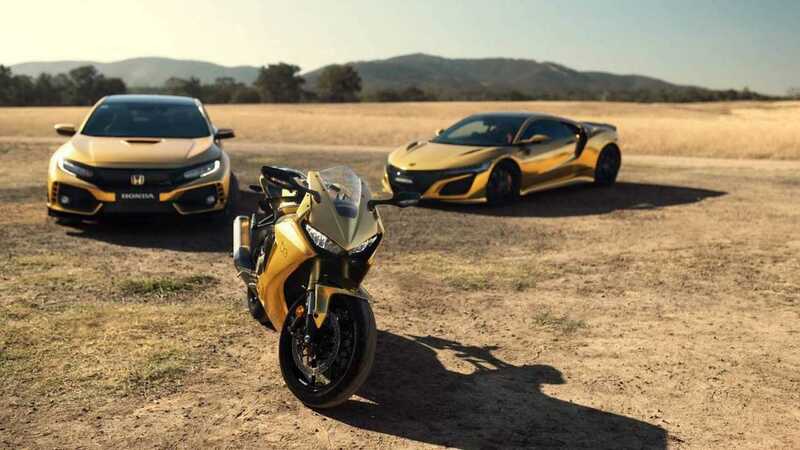 The golden lineup includes the Civic Type R front-wheel drive hot hatch, the NSX hybrid supercar, the CBR1000RR Fireblade motorcycle from the Supersport range, CRF450L next-generation motorcycle from the Enduro range, CRF50F Kids Fun bike, the EU22i Generator, and the HRU19 Buffalo Premium lawnmower. Yes, they launched a golden lawnmower. Beat that. Now, the Americans are probably scratching their heads wondering why the NSX is badged as Honda, that's because the supercar bears the H badge globally except the U.S. wherein it wears the Acura badge. To give you a brief background with Honda's milestone in the land down under, several private companies were importing Honda products during the '50s. However, it was only until February 4, 1969, when Honda Motor Company in Japan sent Mr. Hidehiko Shiomi to Melbourne to set up a unified, national representation for Honda in Australia.